Untangling the behind-the-scenes threads of the various Marvel movie universes is currently as overwhelming as keeping the actual Marvel multiverse straight, without the benefit of any official handbooks to guide you or Peter Porkers to lighten things up a bit. And as if the confusion around Robert Downey Jr.’s cryptic hints about Iron Man and rumors regarding a massive all-franchise Marvel crossover weren’t enough to muddy the storylines—and make you consider becoming a fan of something less convoluted, like tax law—recent days have also brought a flood of reports regarding the Marvel properties at other studios, i.e. Spider-Man, X-Men, and Fantastic Four. To summarize these reports as concisely as possible: Marvel wants all of its characters under one roof, and if it can’t have them, it will do what it can to crush them. Also, at the rate we’re going, comic-book movies will soon replace the commodities market. Chief among these maddening discussions, as always, is Spider-Man, where—according to several sources—Marvel has entered some very preliminary talks with Sony about how it might get him back. Those reports began at HitFix, where Drew McWeeny hinted at some Spider-Man plans being discussed that “would help Sony refocus their enormously important franchise while also opening up some connections in the onscreen Marvel movie universe that would blow fandom’s minds.” And while no one on either Marvel or Sony’s side will admit to anything more than this being a possibility, few can deny that Spider-Man could use the boost, and that getting everyone under back under one roof again would be like a cool breeze blowing across the brain. 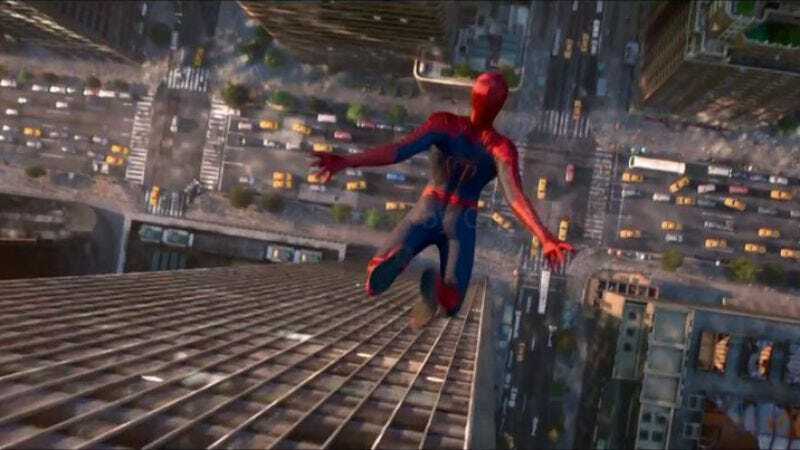 As we reported earlier, Amazing Spider-Man 3 was bumped all the way to 2018, with the supervillain team-up Sinister Six scheduled for 2016, and a spinoff focusing on a female Spider-Man character somewhere in between. But even this complex, nebulous plan isn’t so cut and dry: For example, Badass Digest’s Devin Faraci passes along several different stabs in the dark that Sony is considering for Spider-Man, including using Sinister Six as a “soft reboot” with Spider-Man played by a different actor. (He also reports that the Venom movie is dead… again.) And whether any of that pans out or not, much of the franchise’s future depends on the success of Sinister Six. What doesn’t seem likely, by 2020 or any date in the foreseeable future, is Marvel wresting X-Men and Fantastic Four back from Fox—and so it seems Marvel is doing everything to make those properties suffer. As reported by Bleeding Cool, X-Men writer Chris Claremont recently appeared on the Nerdist podcast, where he mentioned how the title is now “forbidden to create new characters… all because all new characters become the film property of Fox.” That edict also apparently extends to X-Men merchandising—“because why promote Fox material?”—and even more spitefully, it apparently means an end to the Fantastic Four comic book. That policy stems from Marvel CEO Isaac “Ike” Perlmutter—and if you didn’t read The Hollywood Reporter’s profile of him over the summer, you should. It paints him as a fearsome, penny-pinching Scrooge who throws fits over wasted office supplies and free sodas at publicity junkets, and who’s equally merciless about all his non-beverage-related business dealings. And as Bleeding Cool first reported, his anger over Fox’s upcoming Fantastic Four movie seems to have spurred him to scrap all merchandising and licensing for the characters. “Even Fantastic Four posters in the offices were pulled down lest Perlmutter see one and have his ire raised,” the site says of the man who makes funny books for a living. ANYWAY, it’s all very vague, and speculative, and petty, but it is a glimpse into the nastiness of the bitter war over Marvel characters currently being waged between studio executives. Perhaps someone could even illustrate that war and put it into a book, for the day we finally want something besides superheroes to entertain us.